Finally, a day with good weather and new snow, and it’s spring break. Went cross-country skiing at Tahoe Meadows, up to “Chickadee Ridge”, named for these birds, which are aggressive and wanting a handout. The snow was great, about 2 ft of fresh powder, tough for breaking trail but nice for downhill. Went on a short cross-country ski run up to Tahoe Meadows with J. The snow was okay but not great, about 2 inches of new snow on top of hard-pack. Nice weather with views of Lake Tahoe, a little windy. 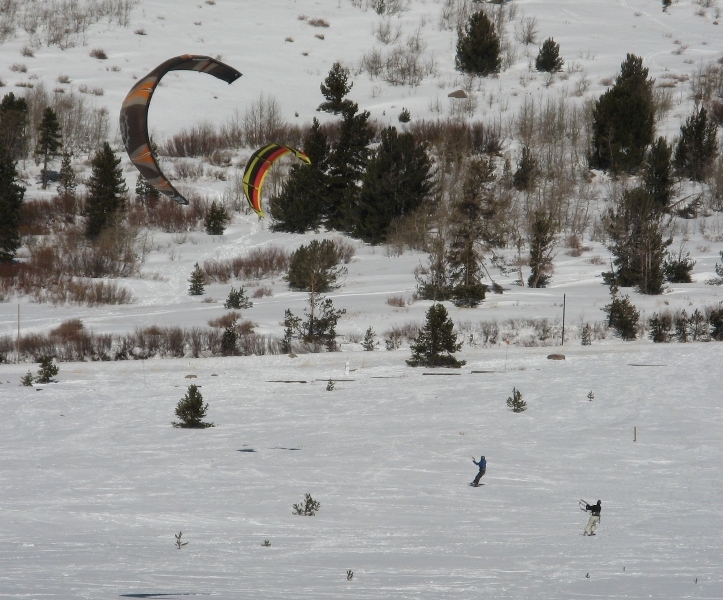 Saw these traction kite skiers/snowboarders out in the meadows.